A day at Mahakal Nagri Ujjain - Ghumakkar - Inspiring travel experiences. Here I continue my trip to Ujjain after experiencing a wonderful train journey from Indore to Ujjain. Whenever we visit places like Indore , Ujjain our food-itinerary is always pre planned. It started with Sanchi Flavoured Milk and Shrikhand at railway station. Shrikhand is one dish which we miss a lot at Chennai. Outside Ujjain station we can find many Autorickshaws, few Cycle rickshaws and one or two Tonga (Horse Tanga). Tanga was always used to be our first choice but priorities have changed now. I would like to recommend to all who visits Ujjain to take up Tanga (If you do not feel embarrassed). It has two advantages, first you are helping Tanga wallah for his livelihood and secondly our next generation can enjoy the Tanga ride which will any how vanish in the coming years. We decided to take Tempo (Big size auto used as shared auto. Old days blue colored tempo used to run with typical engine sound and an excellent speed (Just joking). Many of these Tempos are now replaced by Tata Magic but for me, the charm and experience of blue Tempo is altogether different.So we waited for Blue Tempos and finally after 5-7 min we saw one coming our way. This is one service which I like a lot at Ujjain. Take a Tempo Ride from railway station to Kothi (SDM office) or any other destination to get raw feel of the city. And it’s not expensive also; just Rs 10/- from station to Kothi or you can go up to Freeganj Tower in Rs 5/-. And people here are so simple and sweet that you will never feel cheated. We took a tempo from Railway station towards Kothi as we had some work at SDM office Ujjain. Kothi is an old residential palace building of Scindia dynasty and currently it is a district court and Ujjain district administration headquarters. It is a beautiful palatial structure from outside. We came to know that we would have to wait for 2-3 hours for work to get completed. We thought of utilizing this time and decided to take Mahankaleshwar darshan. At 1230 hrs we had taken Tempo from Kothi and reached Mahakal at 1300 hrs. I don’t know whether it was my destiny or it was a Shraadh period that we got very less crowd at the temple and could go directly inside the temple (Garbh Griha). We got this opportunity to do Mahakal puja, we actually touched the shivlinga , did puja and were back outside temple in just 20 minutes. I was very happy and fortunate to have such a wonderful darshan. We purchased Mahakal Prasad sold at Prasad Counter ( Besan Laddu at Rs 110/- ). The Prasad itself was tasty and we regretted that we did not buy one more box of laddu. When we finished darshan we moved further and went to the Mahakal road and thought of taking Lunch. On Mahakal Road we saw a Bhang shop which we had seen in the program “ Highway on my Plate” of NDTV Good times. We couldn’t resist ourselves and thought of tasting Bhang. We were excited as well as apprehensive. We had never tasted it earlier and werenot sure how it will affect us as we had our work pending and had to return to Indore also in the evening. We reached the shop, inquired about Bhang and ordered plain Thandaai. So bad, we got scared and didn’t taste it. But being a more curious person for anything I was literally staring at the person who was making Bhang. Bhang is available is two form; one is like a laddu (or Peda) costing Rs 25/- (Rate was displayed on board) and other is in a liquid form in which they make bhang using this bhang peda and strain it in a very fine cloth by pouring ingredients like Milk, sugar , Cardamom, Chikoo, drops of some kind of orange syrup and it will cost you Rs 30/-. After tasting plain thandaai we moved further and were looking for Bhojnalaya to have lunch. There were again many Bhojnalaya offering Maharashtrian, Gujrati and North Indian thali. We entered in the Maharashtrian Bhojnalaya which was looking better as compared to others and was serving hot food and was clean and hygienic. In all these Bhojnalaya they offered Lunch thali ranging from Rs Rs 35/- to Rs 55/-.A thali generally gives unlimited Phulka, rice , dal, 2 vegetable , Kadi, pickle and onion. It was reasonably good and hygienic. Having finished Lunch, we took tempo from Mahakal to Kothi and reached Kothi at 1400 Hrs. Our work got over at 1800 hrs and we were ready to go back to Indore. While returning from Kothi we got down at Freeganj Tower just to roam around. First we went to Chote Gopal mandir which was just in the vicinity of Freeganj Tower. The Freeganj which was a busy town circle in the afternoon had transformed into a superb eatery zone ; from Paani puri , Chaat, Chhole tikki and Vada pav to Hot dog , Chinese and South Indian to Juice corner, fruit zone to Icecream corner. We took Pani puri and hot dog and and yet another ‘First’- “Rabdi wali Chuski Barf ka gola”. It’s a ice gola coated with tasty Rabdi…Too good. If you happen to be in Ujjain and done with Mahakal darshan and Ujjain Darshan and still have an evening to spend then please go to Tower Freeganj and spend your evening there. I am sure you will enjoy…. This finishes my trip at Mahakal and we caught Indore bus from Dewas gate bus stand near Railway stand. 1. Ujjain Darshan Bus runs from Dewas gate Bus stand at Ujjain and covers most of the points at Ujjain. It charges Rs 37/- each and has two trips one in morning and other in afternoon. 2. There are buses available which covers two jyotirlinga in a day , Mahakaleshwar and Omkareshwar. Hi, Nice short story, but still there is a flavour of small small things…like Blue Auto, Tangas…and ohho! really you wanted to try ‘Bhang’…do you have any idea or know the after effects? You would have surely missed your return journey to Indore on the same day. I had been to Ujjain from Omakreshwar and then to Dewas last year in July. But I never saw those blue tempo or tanga waalaas. Mahakaleshwar is my favorite temple and jyotirling specially I love seeing Mahakaleshwar abhishek and decoration. Pundits here are very well mannered and respect devotees a lot. Ujjain is a very vast place as far as temples and spiritualism is concerned. There are many places in Ujjain to visit. If you want to see the some more of Ujjain virtually please go through my posts. Thanks for going through my post. The next time you visit Ujjain , please go directly to Ujjain by Awantika Express. As soon as you come out of the Ujjain Railway station main gate,on your left you will find these 2-3 Tanga wallas. And as you come to the main road in front of you , wait there for 5-7 minutes, you will find Tempos either coming from Mahakal to Kothi/Freeganj or Tempo going towards Mahakal side. As my native place is Ujjain I am very much familiar with Tempo and Tanga. I am sure you will enjoy Tempo ride instead of its new replacement Tata Magic Shared services. Food description really good. and ride on Tanga fantastic. Thanks a lot for share journey. Nice Post, good description but in short story. Thanks for liking.I have not been to other places this time so no pics. While visiting Mahakaleshwar we just forgot to take pics. So from musical journey, it now becomes a food journey. I have the same recommendation as Amitava. If you ever feel like trying then best place is to pick thandai and do it at home :-). Actually we saw that shop in NDTV Good times, so just curious,but Himmat abhi tak ho nahi payi hai :) to have it. Nice post. Last time I was in the area I could not go see the Mahakal Temple. After reading the post, I will definitely go this time around. And, I will take the blue tampoos . Only downside of these vehicles are the dark CO clouds they belch. Thank you for describing this ‘one-day match’ of yours. It is short, interesting and also informative. This post is very useful for the follow Ghumakkars ! I am planning trip with my family(with elders) in october. 1) Any kind of information regarding guest house/Dharmasala near ujjain and omkareshwar? 3) Bus facilities from omkareshwar to ujjain,road conditions? 4) Is passenger train suitable to travel between ujjain to omkareshwar? We are plannig for somnath and dwarka also can i post my query here regarding those places? Kaal Sarp Dosh or yog is a serious condition in one’s horoscope. As per Hindu astrology, when all the seven planets are hemmed between the shadow planets Rahu and Ketu, Kaal Sarp Yog is formed. Rahu is the serpent’s head while Ketu is the serpent’s tail. The presence of Kaal Sarp Yog in one’s horoscope is very harmful. It harms every aspect of the individual’s life. How lucky one can be when one gets to time their conference trips with one of their favorite festivals happening concurrently at a different city, in fact, a different country? Once the conference dates in Vancouver was decided, I waited with bated breath for the official announcement of the dates for the Skagit Valley Tulip Festival, about 70 miles and 1 hour 10 minutes drive north of Seattle on I-90 (Exits 230, plus minus one). 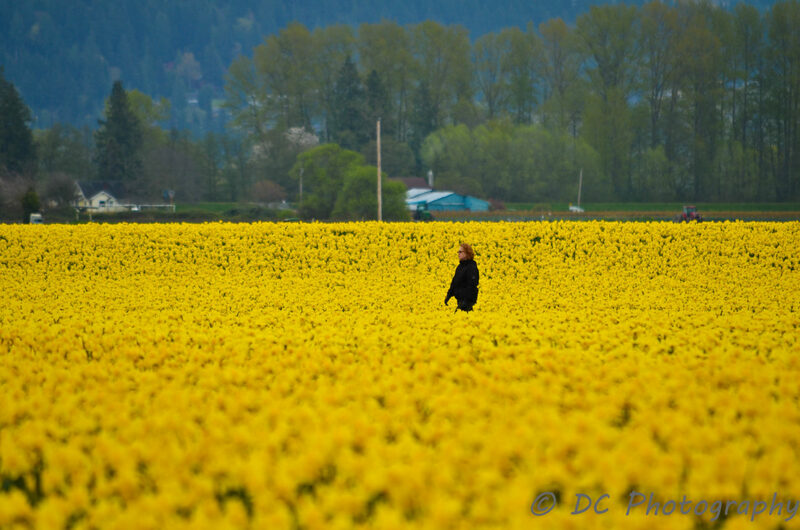 The tulip festival has been my favorite things to visit in Seattle, and every year, I waited for Spring to arrive, heralding a trip to the daffodil and tulip fields.